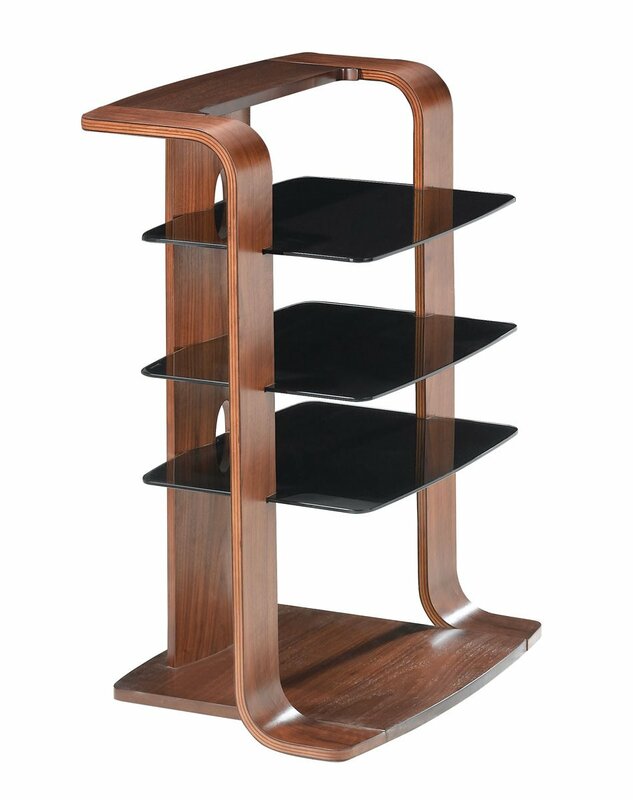 The Curve JF204-Hi-Fi has a stunning appearance of luxurious real wood Walnut veneer and toughened black safety glass. This innovative design mixes traditional wood with modern contemporary to give it that unique appeal. 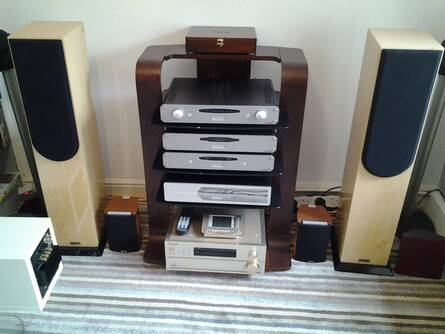 The curved wood frame offers great stability for those heavy AV amplifiers and other hi-fi equipment. 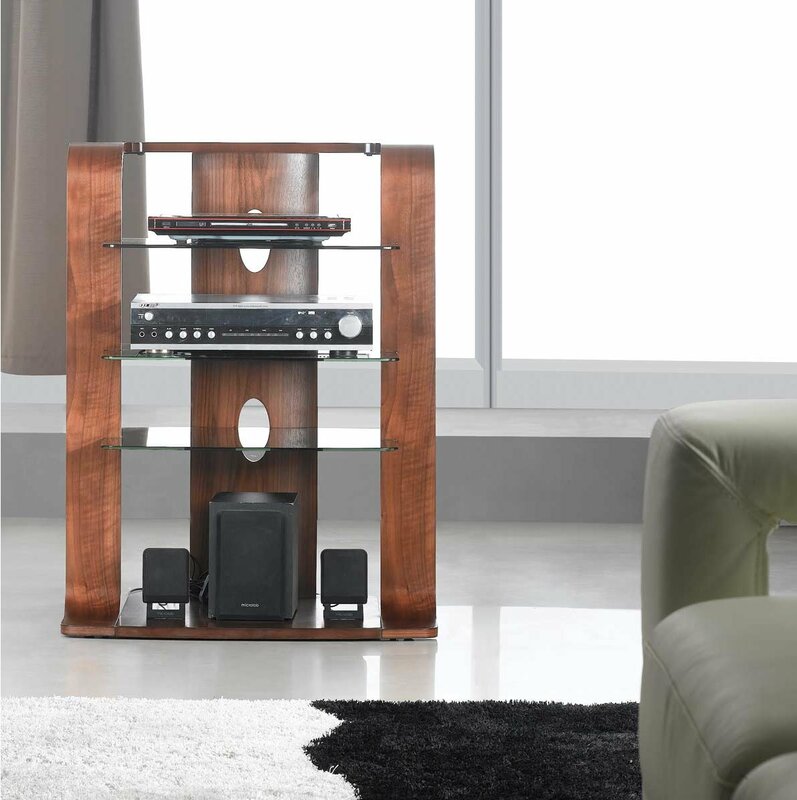 The 4 shelves offer ideal space for all your home entertainment equipment. As with all Jual products the Curve range features toughened safety glass shelving as standard and an integrated cable management system to hide unsightly cables. It is unusual..We have been looking for a unit for over a year and this fitted the bill perfectly. Stunning bit if Kit. Looks awesome and is very high quality. Walnut Veneer TV Stand for screens up to 37"
Light Oak Veneer TV Stand for screens up to 37"
Is the bottom shelf big enough to take my vinyl pls? What is the useable width of the shelves? 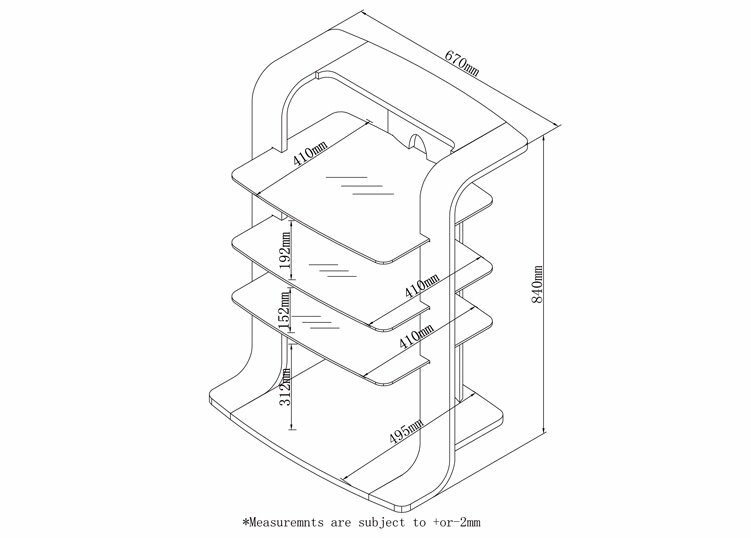 I have a centre speaker that is 491mm wide, would it fit? Look beautiful, I suggest to anyone !!!!! Top shelf hight 15-16cm, middle-28-29cm, bottom-30cm. Kind regards. i have read the good / bad reviews but undecided. are the screws really too short and is it stable enough to warrant the price?